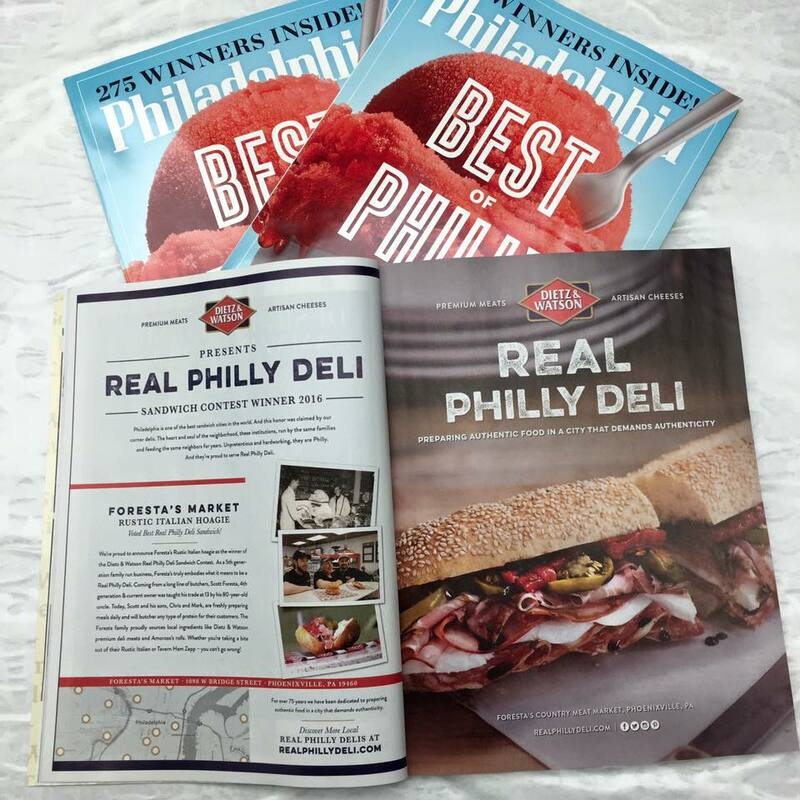 Philadelphia Magazine and Dietz & Watson held a Real Philly Deli Sandwich contest and with your help, you voted Foresta’s to the top over 10 other delis! Thank you for your votes! 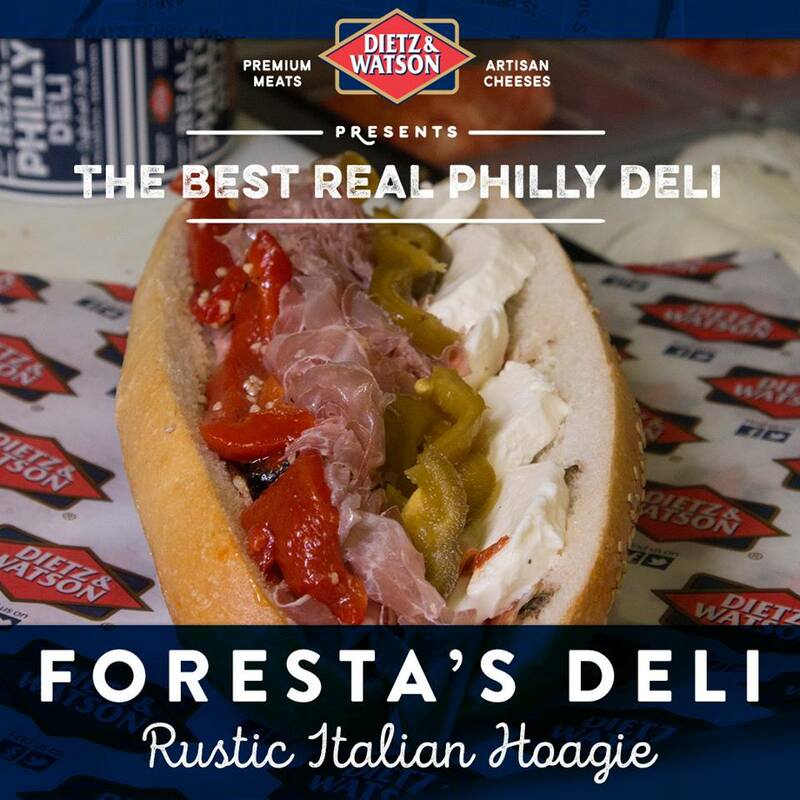 Dietz & Watson has selected Foresta’s Market to be featured in their upcoming Real Philly Deli campaign. 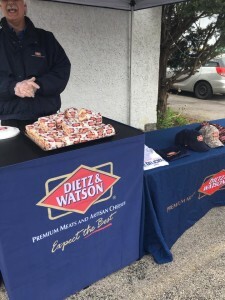 D&W helped us participate in National Hoagie Day where we gave out samples of Hoagie and D&W goodies. 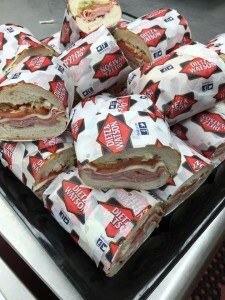 Our winning hoagie for the competition is our Rustic Italian. 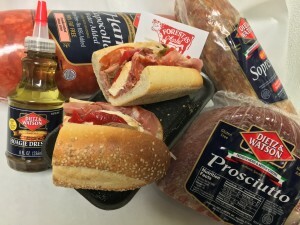 We start with a Corropolese Seeded roll, D&W Hoagie Dressing, Chipped Prosciutto, Chipped Hot Soppressata, Hot Ham Capocolla, Fresh Mozzarella, Cherry Peppers, Roasted Red Peppers and drizzled with Balsamic Glaze.